Despite the refusal of some companies from the development of the production of modular smartphones, Lenovo has continued to develop this segment of the market. 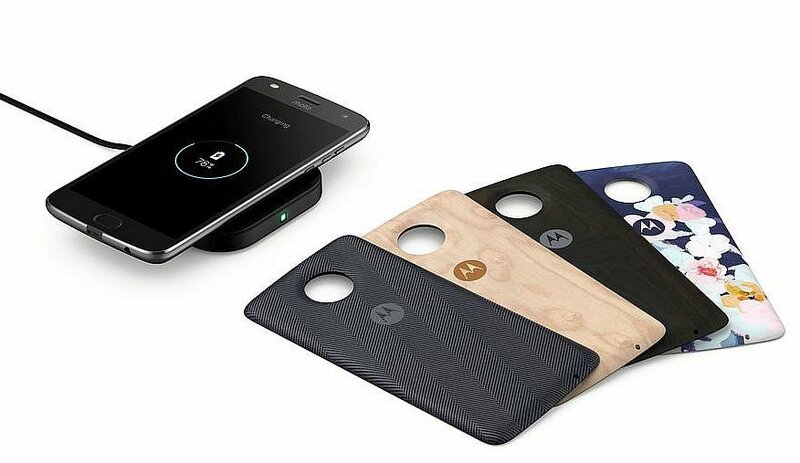 The company presented the smartphone Moto Z2Play that is a logical development of the previous model of 2016. New unified under modules, released the first-generation smartphone. Also presents new modules: module-speaker JBL sound boost 2, module-Moto gamepad GamePad module-battery Moto TurboPower Pack and pad for wireless charging Moto Style Shell. Moto Z2Play has a 5.5 inch AMOLED screen with Full HD resolution (1980х1080 pixels). The display supports Moto Experiences, filtering the blue spectrum of light and allows to obtain a softer image in the dark to provide additional protection to the user. Decreased weight of the smartphone is 145 grams, 165 grams is the predecessor. One millimeter decreased and the thickness of the device. This can be explained by the decrease in battery capacity, which decreased to 3000 mAh instead of 3500 mAh Moto Z Play. Design Moto Z2Play preserved all geometric parameters, but the back cover instead of glass now made of metal, with embedded perimeter antenna. The main camera is slightly protrudes above the surface and provides the attachment of the modules. 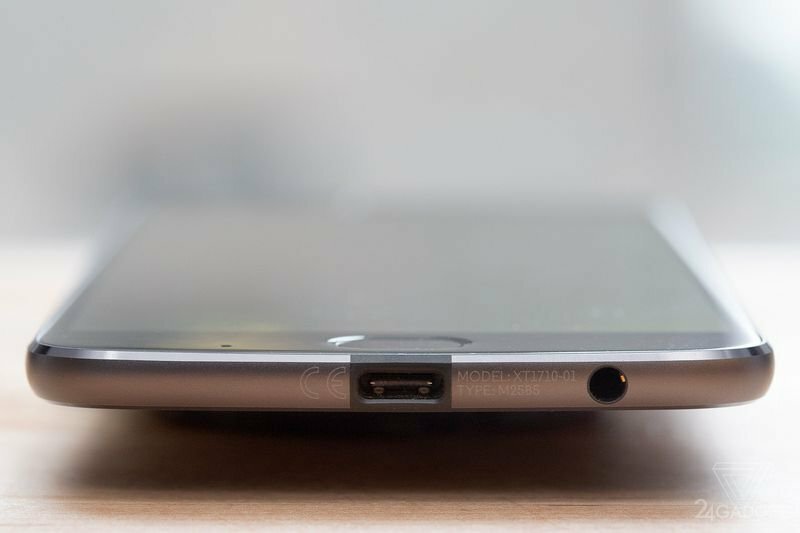 The fingerprint scanner on the front panel has acquired an oval shape and, when switching mode, the received function control buttons. When holding your finger on the scanner to open a previously launched application to return to the main screen or lock the device. Smartphone Moto Z2Play equipped with 8-core Qualcomm Snapdragon 626 2.2 GHz and graphics Adreno 506, 4 GB of RAM and 64 GB of internal memory, possibility of installation of memory card format microSD. In some countries, you will see the version of the smartphone with 3/32 GB of memory. The greatest changes in the received main camera, which is now a 12-megapixel, has a maximum aperture of f/1.7 and two-tone LED flash, supports fast focus (Dual Pixel technology) and laser auto focus. Front 5-MP camera also has two-tone flash. In the presence of support LTE, NFC and has FM radio, Wi-Fi (802.11 a/b/g/n/ac) and Bluetooth 4.2 LE + EDR, A-GPS, GLONASS, 3.5 mm headphone port and connector USB Type-C 3.1. The gaming Moto Game Pad will allow gamers to comfortably and enough time to spend with your favorite games. Handle double control, 4 buttons and D-Pad turns the smartphone into a gaming console. The module is equipped with an extra battery on 1035 mAh. Loudspeaker JBL Sound Boost is equipped with a battery that allows 10 hours enjoy listening to the audio files. Column is made in a splash-proof and available in three colors: blue, red, and black. Control is exercised through the application of the JBL EQ. An additional source of energy – module Moto Turbo Power Pack will allow one-third hours to charge a smartphone at half the charge. Capacity Turbo Power Pack made up 3490 mA∙h. Another module – pads Moto Style Shell not only diversifies the appearance of smartphone is different design designs, but will provide access to wireless charging technology (up to 10W). 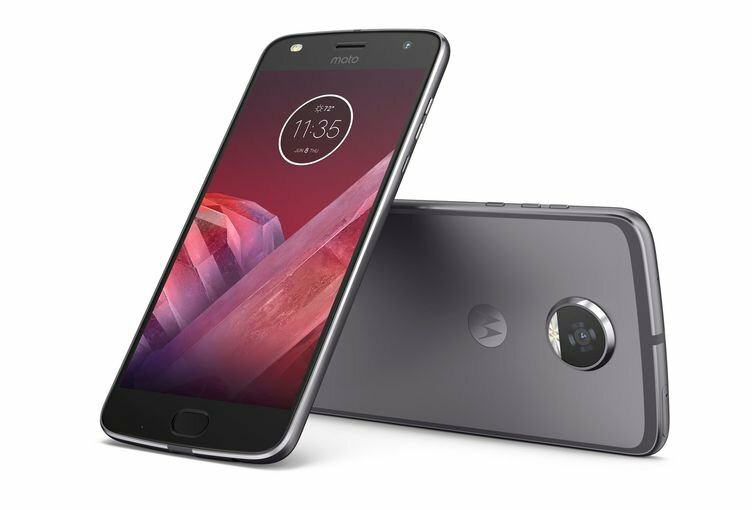 In July 2017 Moto Z2Play will be made available to clients of the American operator Verizon, and only after that the smartphones will be available to the public worldwide at a price of $499. You are reading an article on the Announced modular smartphone Moto Z2Play and new modules to it (20 photos). All materials on the site Gadgets F, а также и статья Announced modular smartphone Moto Z2Play and new modules to it (20 photos) - written for the purpose of information enrichment and we are happy if you like our magazine.